The UK’s recession may have been declared officially over, but a recent study by the Insolvency Service uncovered the harsh reality of the longer-lasting effects of recession. 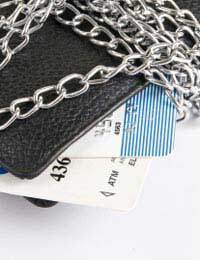 In 2009 a total of more than 134,000 people were declared financially insolvent. This works out at more than 10,000 Britons filing for bankruptcy every month, the highest level since bankruptcy records were first recorded, in 1960. Of this total, over 17,000 were recorded to have taken place in the last three months of 2009, an increase of almost 25% on the previous year. Individual Voluntary Accounts (IVAs) – the more modern equivalent of bankruptcies – also increased by more than 26% over the same period. It is clear that higher levels of Bankruptcies and IVAs are fast becoming a fact of modern life and are here to stay. The previous record for personal insolvencies of 107,000 was reached in 2006. Despite the news that the recession is coming to an end, the impact of unemployment and falling incomes mean that we will see levels of personal insolvencies continue to increase as the effects of the recession linger. Even more worrying, financial experts believe that many people are barely managed to keep their heads above water financially and that insolvency numbers will rise sharply should interest rates be increased from their current historic low of 0.5%. Will Rising Interest Rates Be the Final Straw? So far the after-effects of the UK’s recession appear to have been kept to a minimum. The previous Government’s steps to bail out the UK’s banks and increase public borrowing to record levels helped to move the country out of recession. With the cuts initiated by the new administration back in 2010 we may yet see this reversed and bankruptcies and IVAs increasing as more people are made redundant. Stockmarkets have started to recover to the levels seen before the Lehman Brothers collapse back in 2008. Insolvency practitioners, however, fear that even if the recession is over, the downturn could last considerably longer, and that all it takes is for interest rates to be raised quicker than anticipated and the dreaded ‘double-dip’ could be upon us. Many people have managed to survive the recession by managing to keep hold of their jobs, or find alternatives, and also because their mortgage payments have been substantially reduced by the corresponding fall in interest rates. Interest rates are the opposite of gravity: what goes down must eventually go back up. Once rates begin to rise, those people who are on the cusp of financial insolvency could soon find themselves tipped over the edge. Bankruptcies may have reached their peak in recent years, but insolvency accountants RSM Tenon expect insolvency numbers to rise to 150,000 during 2010 and could remain at that level for the next couple of years. What is clear is that the aftershocks from the global recession will remain with us for some years to come and many people will end up paying a heavy price for the country's credit binge. @raj - you can 'disclaim' the gift, but once done, you will be unable to control what happens to your share as it will revert to the terms of the will laid out if as you too had died. Therefore, it may pass to your brothers or sisters, or whoever else has been named. recently been made bankrupt, also recently a member of my family died without making a will. i am next of kin, but i do not want to inhert. can i disclaim? can the official receiver stop me from disclaiming the inhertance?